Our 45 minutes assembly programs are educational, engaging, and interactive as we explore the 5 instruments in WindSync, explain basic musical concepts, and demonstrate the two essential and universal elements of our band: teamwork and appreciation of diversity. Click each link below for more information and a description of each of our programs! These programs are available for local Houston schools through our presenter Young Audiences of Houston! I just wanted to send you a quick "thank you" note regarding your top-notch performance today at our school as it truly touched and moved many children's hearts as well as teachers! Children thoroughly enjoyed the performance, and they have been expressing themselves through writing, drawing, movement and even making their own music! So many teachers came up to me and said, their children really dived into the music and the story during your performance and saving the momentum! Thank you for sharing your talents, hard efforts, and timeless practice along with memorization with scores, actions, etc!! You all are AWESOME and deeply appreciated!! Please keep up the great work! I hope all of you can come back to our school AGAIN next year! "It's hard to identify one "outstanding component" because WindSync does everything so well! Their musical artistry is superb, but what makes WindSync so engaging is the way they create a sense of adventure for their audience - performance, information, and student participation are seamlessly integrated into educational experiences that students enjoy and remember. The WindSync players are great role models for students. Each member of the quintet takes an active role in the program, modeling both leadership and teamwork; they set clear expectations for student behavior and are adept at using a variety of strategies to keep students involved and interested (the WindSync hand signal, clapping patterns, choral responses, individual and group questions, asking students to close their eyes and visualize a scene.) 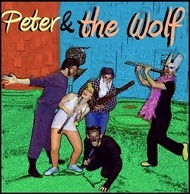 It is a measure of the thoughtful, imaginative planning that went into this program that it flowed so naturally - students loved the music, they were excited and curious about the instruments, and they delighted in the humor and drama of the stories!"